Abstract: With the development of tech, many advanced vehicles come into being, like the unmanned automobile and automatic drive bus. These vehicles can not only drive automatically, but also realize taking passengers as required. Also, we especially the old with Airwheel H3 motorized wheelchair can also be as cool as the young can. Transport, whether for the individual or for the society, is very important and its reform has been carried out in the direction of being faster, more comfortable, more practical, more environmentally friendly and more intelligent. The automatic drive bus does not follow the traditional bus fixed route, which is more intelligent and makes public transport more convenient. For the majority, they are longing for a transport to cover the short-distance travels. 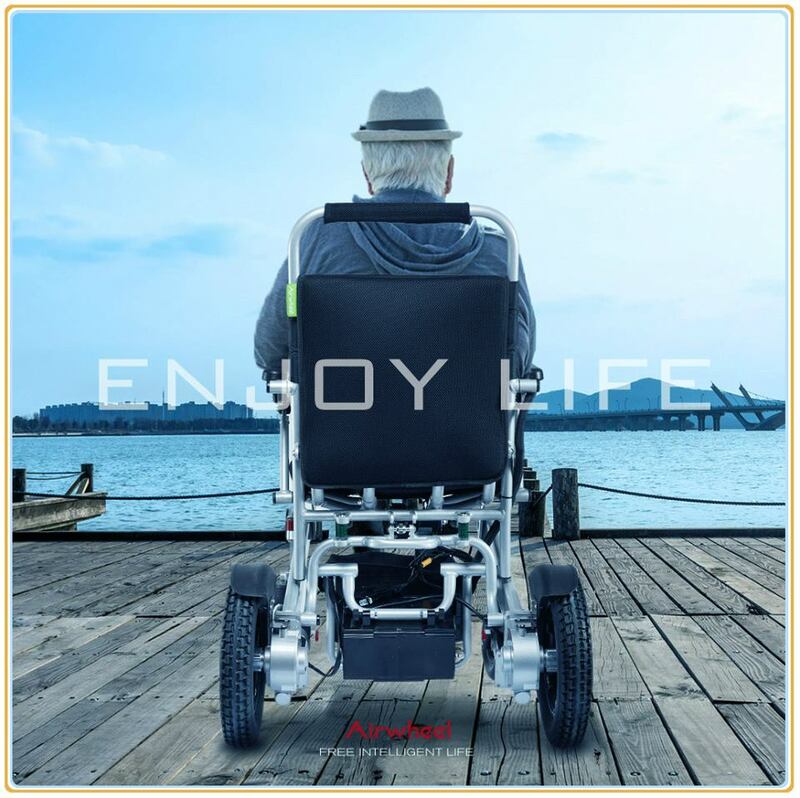 Airwheel H3 electric wheelchair is dedicated to making daily travel more convenient. All the controls depend on the handlebar controller, like speeding up and going backwards and the automatic folding system makes it easy to store. The Airwheel H3 auto folding smart chair is the only chair that automatically opens and closes with the touch of a button. H3 folds to a compact size of 790X630X370mm meaning it will fit into any car for travel. It can be disassembled in just seconds to easily fit in the trunk of virtually any car. Its total weight makes it super easy to lift when necessary. 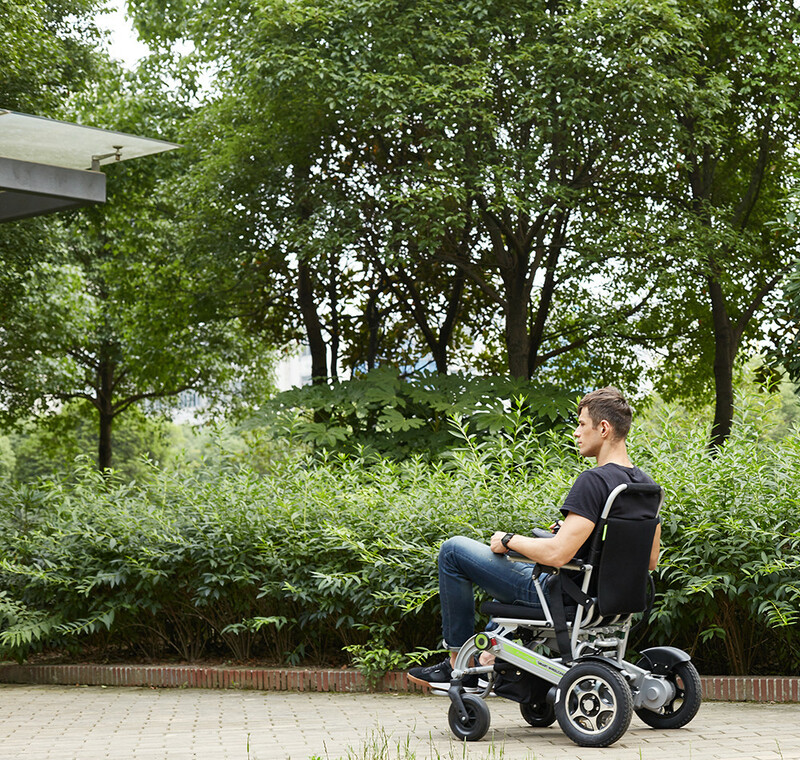 With its 12’ rear flat free tires and high ground clearance, the Airwheel H3 motorized wheelchair can easily move over small bumps in the road and short grass. Also, its rear gear motor with dual drive provides powerful kinetic energy. Moreover, H3 power chair has two ride modes. In the electric mode, the rear gear motor with dual drive provides powerful kinetic energy. It means riders can travel is a free way without others’ help. In the manual mode, H3 can be pushed by people to accompany with the riders. In a word, if you are looking for a travel chair that is easy to lift and opens and folds electronically with the touch of a button - this is the chair for you. Welcome to visit airwheel.net for more information.